A new, fantastic instrument for advanced learners! Since 1896 Hohner produces the popular "Marine Band" series. It's the most played harp in Blues- and Folkmusic all over the world. The "Marine Band Crossover" is based on the "Marine Band Deluxe" harp useing some new modifications. The patent-registered body out of Bamboo and the arched top with its acoutic cuts spends a soft and legendary sound. 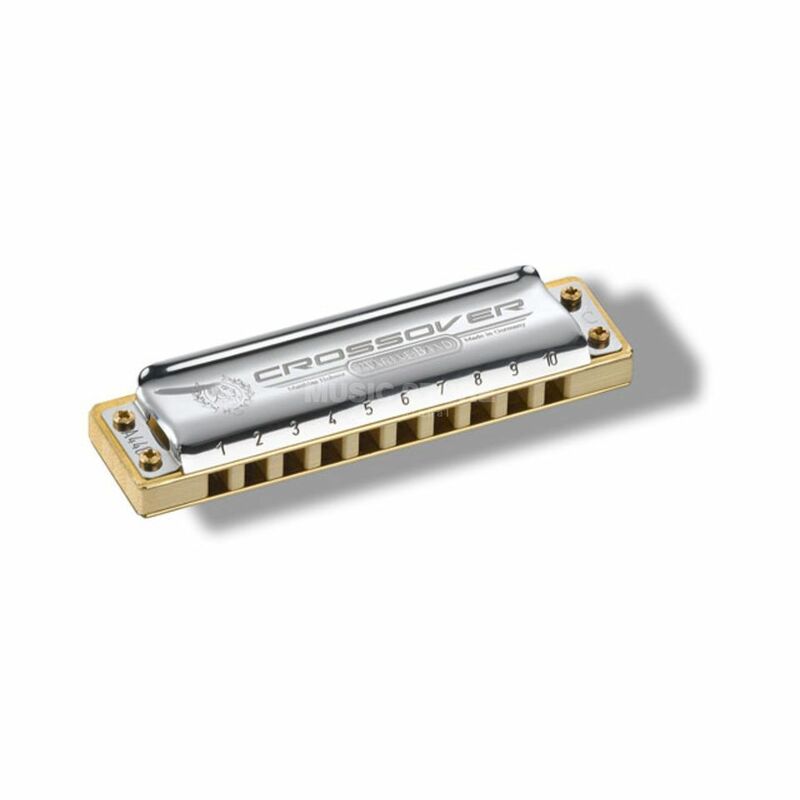 The "Crossover" Harp is extremly air tight so you've got a fast responsiveness combined with a clear sound. This harp is useful for advanced learners who get exercised in modern Blues, Rock, Jazz or Funk. Features: Tuning: D Reeds: 20 Stimmplatte: Brass (0,9mm) Body: Bamboo (sealed) Incl. Box Made in Germany ! !